A sonnet for a warm morning in January. At least if you're inside, in a warm bed. the dreams and sighs and thighs of king and queen. As I write this, the Grease Live! TV show is eight days away. And as one might suspect, incandescent dance & singing star Julianne Hough is on a magazine cover. The picture on the cover is a bit "over the top". It doesn't capture how pretty/gorgeous she really is; I'm not enamored of her facial expression. Even though it's a hot cover. Let's take a look. My first thought about the cover was "Well, she might look hotter naked. Not sure how much, though." But still, there are stills from the behind-the-scenes cover shoot video. And those are seriously incendiary. And then of course, there's the behind-the-scenes video itself. I've written several articles about the concerns and dangers of space debris. But until I read this article, I hadn't thought of the possibility of triggering war as one of the dangers. But now I'm definitely aware of it. And yes, it's something to be concerned about up there. "In a report to be published in the journal Acta Astronautica, Vitaly Adushkin at the Russian Academy of Sciences in Moscow argues that the threat of space debris constitutes a 'special political danger' because the owner of the impacted satellite 'can hardly quickly determine the real cause of the accident. Unexplained failures of defence satellites could be explained either by unregistered collision with space debris or by an intentional attack by an enemy nation." So let's clean "up there" up, shall we? I always think I know quite a lot. Certainly I don't know everything. But it always surprises me when I encounter a factual tidbit about which I had no inkling. Such is the case with the leading lady of Monaco, Princess Charlene, and the Pope of Rome. It turns out that she is only one of seven titled women entitled to wear white in the presence of His Holiness. After you read this, count yourself privileged, because Now You Know Too. But what does he really think? Here's a couple of quotes. Let's try to figure that out. 'I think that climate change is just a very, very expensive form of tax. A lot of people are making a lot of money. I know much about climate change,' Trump said. He insisted that 'we don't have to destroy our economy' in order to protect the natural environment. Nowhere does he say it's real. d) the Chinese didn't invent it. Clearly the Donald doesn't know much about the science of climate change. What he knows is how to pander to the gullible Republicans who are chowing down on what he's serving up. And that means he isn't going to say anything close to resembling that climate change is real. So if (perish the thought) he became President, he'd likely destroy our natural environment to protect our economy. It's the capitalist way and it's the Republican way. Really. And how, in the light of steaming El Niño in the Pacific Ocean, does he make this claim? Three words: "satellite temperature readings" Of course. There should be a soap opera entitled "As the Deniers Cling". Because they are clinging to the satellite temperature record (despite its many flaws), even though the surface temperature record is what sets the "warmest ever" record. "This past year saw what is likely the most powerful El Nino during the satellite temperature record. With a record El Nino, we should have experienced record high temperatures. Yet we didn’t. A record El Nino resulting in less-than-record temperatures is another sign that global warming is not all that activists crack it up to be. Indeed, if a record strong El Nino cannot bring global temperatures back to the warmth of 1998, what can – and when will that be?" Well, propangandist Taylor, you should read my stuff and look at my plots. Because just like in 1997-1998, the sea surface temperatures (SSTs) are peaking in the prior year (2015), but the approximate 6-month lag time for this heat to influence the atmosphere is only now making the temperatures of the lower troposphere rise, so that the highest atmospheric temperatures are likely to occur in the latter year. And the atmospheric temperature, specifically the lower troposphere, is what the satellites measure. And that's why 1998, not 1997, was the highest temperature recorded in the lower troposphere (which is NOT the surface). And that's why 2016, not 2015, could be on its way to providing us with the highest Temperature of the Lower Troposphere (TLT) ever. But we won't know for months; actually, we won't know until 2017 if it's the hottest year ever for the TLT (higher than 2016), but we should know by the beginning of summer in the Northern Hemisphere if we've had a month in 2017 exceeding the peak TLT of 1998. (I should note that we're looking at the TLT anomalies, of course). ... the TLT is clearly starting to rise in December 2015, and is a couple tenths of a degree higher now than December 1997. The primary point here, in case anyone missed it, is that Taylor is jumping the gun big-time to say that with this El Niño "we should have experienced record high temperatures". We haven't to date, because the warming of the lower troposphere due to the massive El Niño is just getting started. Simple stuff, really. But it's not simple if you are paying attention to the basics. I don't follow cricket a lot. I do find the game fascinating, both for its scoring tedium (which really isn't that easy) and the bolts of wicket-taking that happen in all sorts of sudden and surprising ways. Now, normally a Test innings score ranges from 200 to 400 runs. 200 isn't very good. 400 is pretty good. Lower than 200 is verging on awful, and higher than 500 is outstanding (and usually leads to a win). So what's a score of 83? If you're the team that scores it, it's stunningly bad. If you're on the side that inflicted it, it's phenomenally good (especially if one of your bowlers took six wickets, which is what Stuart Broad did, aided by a couple of amazing catches by James Taylor). That's what happened. Instead of a tight match (because both England and South Africa were in the 300's in their first innings), it turned into a laugher that was easy to win. Because they won the first match, and drew the second, this win gives them the series played in South Africa, and it's never easy to win when you're the away team (or as cricket calls you, the tourists). Here's the report from the Daily Mail on the strange and exciting last day. But anyway, in that article, I wrote the following about Gary's impending marriage to Danielle. "And now he's showing off his bride-to-be, who I think definitely qualifies as a mom-to-be-in-bikini, even though she might not be pregnant yet. I can't see Gary passing up this opportunity to promulgate, propagate, and procreate with lingerie model Danielle Bux! (Who wouldn't??)" Well, apparently he did pass up on it, and it is the purported cause for the end of their marriage. "Gary Lineker and Danielle Bux have just divorced after six years of marriage because he doesn’t want any more babies and she does — something you can’t help but think they might have sorted out before kick-off." Well, I guess that shows being a silverback (usually defined in my book as an older accomplished man in his profession with scads of money to show for it) married to a hot supermodel isn't always a perfect lifestyle. Even though it does look like fun at times. 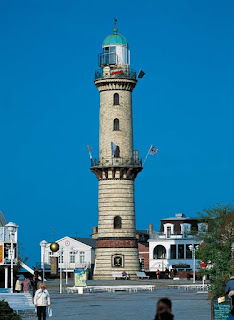 I decided to search for lighthouses on the Baltic Sea, and quickly found the lighthouse in Warnemünde, Germany. It's interesting for its design and for the funny looking building next to it. 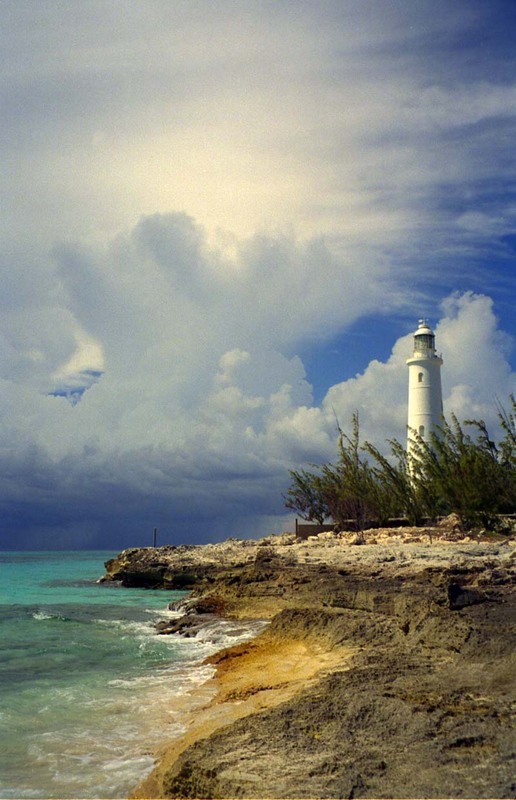 It's situated right on the beach, making it a solid tourist attraction. 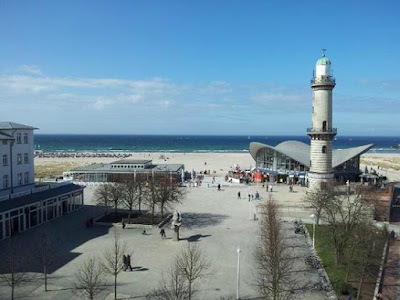 If you're wondering where Warnemünde is, go to the inlet to the Baltic Sea, head past Denmark, and it'll be to your starboard side. 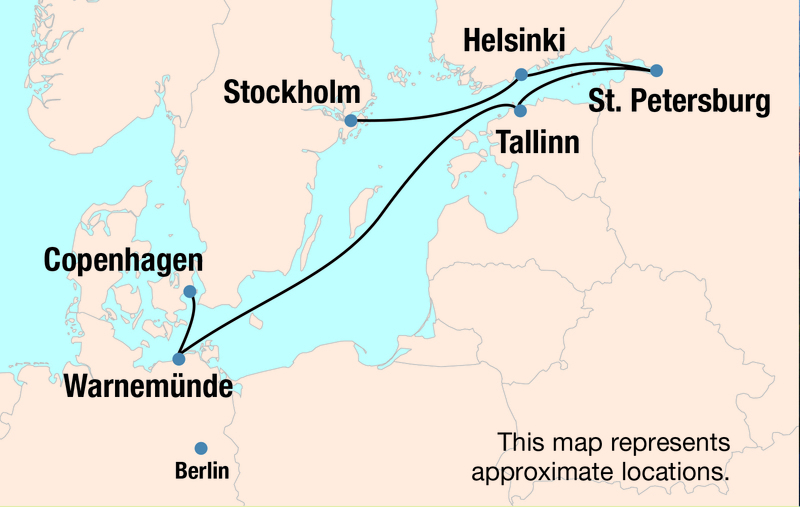 This tour map makes it easy to locate. I frequently go the Lighthouse Directory for info about particular lighthouses, but in this case I decided to go with Wikipedia, as they were comprehensive. Here's the Lighthouse Directory link to Lighthouses of Northeast Germany if you would rather read about it there. Basically, it's just under 37 meters high and was first warning ships in 1898. 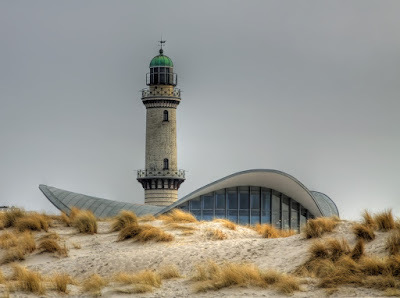 The Warnemünde Web site also some good pics in the scrolling feature at the top. The funny looking building next to it is called the Teepott. 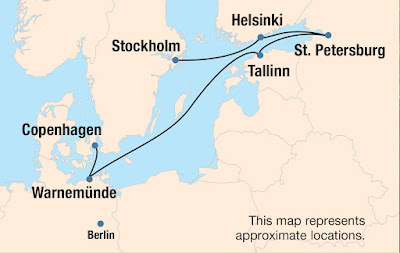 The Leibniz Institute for Baltic Sea Research Warnemünde is also located there. I know Kelly Brook in a bikini is not exactly new (or news), but this picture is outstanding in its genre. More on Kelly here soon. Oh yeah, she's going to be in a movie that's getting released soon. Doubt I'll have a chance to see it, but I hope it does well. I just learned that Nicaragua's Masaya volcano has a lava lake. Not a very big one, but given their rarity, I found this interesting. 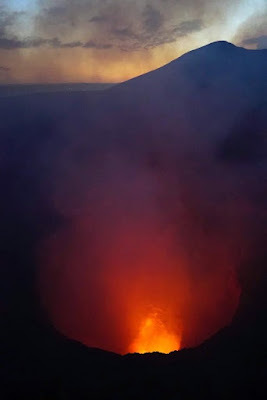 You can even take tours to visit the lava lake, if you are so inclined to visit Nicaragua. If so, consider this a public service that I brought this highly interesting geological phenomenon to your attention. There's a good picture at the top of the tour page. And here's a pretty good picture of it, from Volcano Discovery. The appearance of this lava lake happened in mid-December 2015, so it could disappear any time. Get there while it's hot. A few days ago, Comet Catalina sped by the bright star Arcturus on its way toward the Big Dipper. Enterprising astronomical photographers caught pictures of this rendesvous. This Friday and Saturday, the 15th and 16th of January, the comet makes its closest approach to the stars of Ursa Major. I might try to find it with binoculars if the clouds and the temperatures cooperate. It is hard for me to believe that archaeologists are suggesting that our ancient ancestors who drew pictures on the walls of caves in France depicted a volcanic eruption in those drawings. Well, first of all I had to confirm that there were volcanoes erupting in France at the right time. I learned a bit about the geology of France. Yes, it has volcanic zones (what caused them would require more effort to understand the plate tectonism of the area). According to the research, new dating of the eruptions puts them in the same time-frame, give or take a few thousand years, as the cave paintings. A 36,000-Year-Old Volcanic Eruption Depicted in the Chauvet-Pont d’Arc Cave (Ardèche, France)? Now, I respect the research and the effort that went into it. And its interesting that the eruptions took place near the caves. Count me as finding this interesting, but I remain dubious. Still, I would like to see that new cave painting museum. This one is special. It's actually rather plain and simple, but it has a secret. "1870. Active; focal plane 37 m (121 ft); two white flashes every 10 s. 34 m (112 ft) round masonry tower with lantern and gallery, painted white." 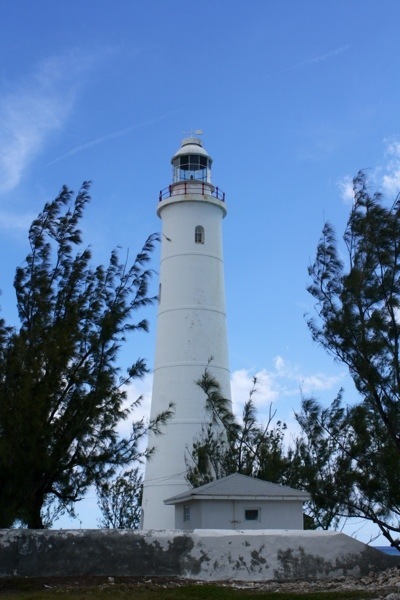 "The English Crown selected the island as a location for a lighthouse to be built in the 1800s to prevent such incidents. 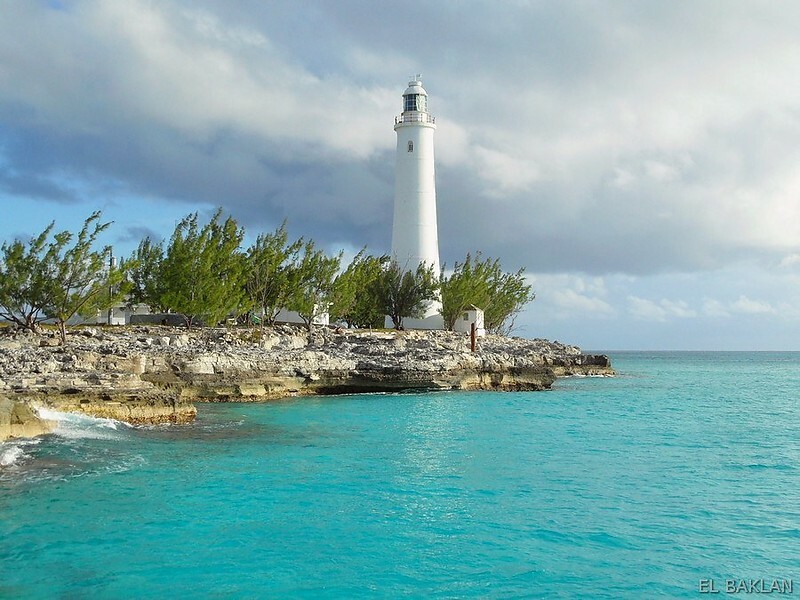 It is now one of only three remaining kerosene-burning lighthouses in The Bahamas and has resident lighthouse keepers who tend its flame and hand-crank it every two hours." Isabel Goulart is a Victoria's Secret Angel and a supermodel. Which means that in addition to being beautiful, she has a body that puts the "k" in "killer". What is it with these idiot Texas governors? A couple of years ago former Texas governor Rick Perry suggested that Texas could secede from the United States and become (presumably) its own country. His idea was widely seen as nutty, except by conservatives in Texas (read into that what you will). Now current governor and fellow idiot Greg Abbott has added to the call for a constitutional convention of the states. Various other states of have made the calls in the past, and some of them have pulled back those calls, so the math is hard to determine. But is there any chance this could work? I did a tiny bit of searching and found this, which explains the difficulties well. "Ryan’s single most important objective is to keep his House from doing anything over the course of the next eleven months that will make it less likely that a Republican wins the presidential race. Because if the GOP nominee prevails, with Congress still in Republican control they’ll be able to have anything and everything they want — tax cuts for the wealthy, slashing the safety net, more military spending, making abortion all but illegal, maybe another war or two, and yes, actually repealing Obamacare." See what I underlined? That's the problem. We need to be very, very wary. This Lighthouse of the Week is a bit late this week, but it's still a good one. I actually started looking for lighthouses in the Dominican Republic, but that half-island country either has simple metal frame towers or lighthouses that are abandoned. 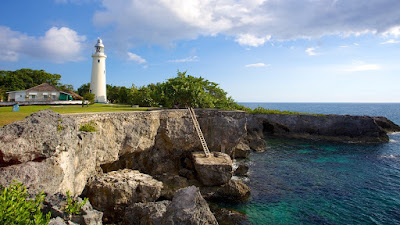 So I tried Jamaica, and Jamaica has several -- including the highest elevation lighthouse in the Western Hemisphere (the Lover's Leap lighthouse). That's not this one. 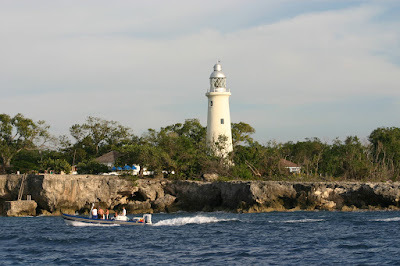 I decided on the lighthouse in Negril, not having known there was one in Negril. I've been more aware that there is a resort (Hedonism II) famous for nudism and pleasure, in Negril. Well, I guess if you see this lighthouse, you might be in for a good time. One way to have a good time is to jump into the ocean from the rocks below the lighthouse, which can be seen in the first picture below. "1894. Active; focal plane 31 m (101 ft;) flash every 2 s, alternating red and white. 27 m (89 ft) round reinforced concrete tower with lantern and gallery; solar-powered lens. Tower and gallery painted white; lantern unpainted gray metal." "Negril Lighthouse was built in 1894 1.5 miles (2.4 km) south south east of the westernmost tip of the island of Jamaica by the French company Bubbler & Bernard. 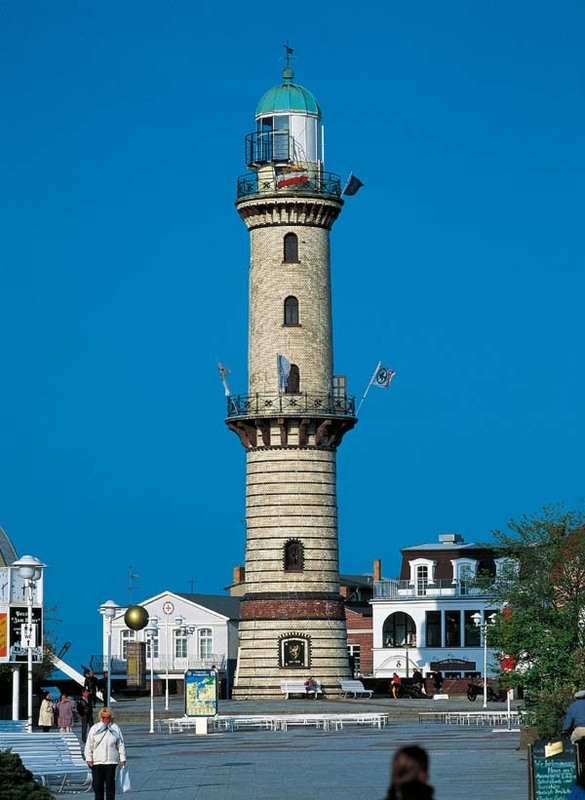 It is one of the earliest concrete lighthouses." "Its foundation is a tank 14 feet (4.3 m) deep, which is kept filled with water to keep the reinforced concrete tower balanced and secured in the event of an earthquake. The tower is topped with a lantern and gallery. An automatic white light 30 m (100 feet) above sea level flashes every two seconds. 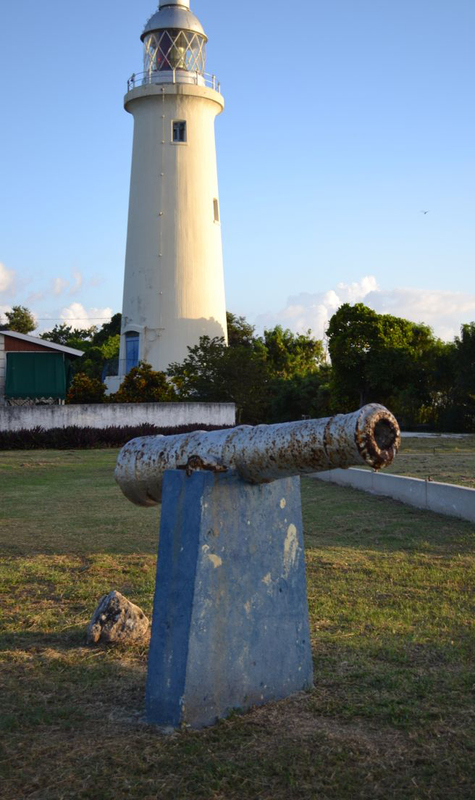 The light was operated by gas initially, switching to acetylene in 1956 and solar energy in 1985." But if you got to this page because it mentions Hedonism II, I don't want to totally disappoint you. Here's body paint night at the resort. It may be winter in the Northern Hemisphere, but that means it's summer in the Southern Hemisphere, and that means it's cricket time. England won the first Test in the series (of 3), which was one of the rare times that they've won the first Test in a series when they were the visitors (aka 'tourists'). The second Test was in Johannesburg, and the English boys got a massive 629 in their first innings, and probably expected that with a normal wicket-taking they could win, but South Africa answered with 627 and declared (i.e., said they were done batting), and let England start batting their second innings. Everyone expected a draw, but England lost a few wickets early and made it look tense. If England had lost ten wickets before getting a lot of runs, South Africa could have tried to get enough runs fast to beat them. Unlikely on day five, but strange things have happened in cricket Test matches. In any case, England got enough runs to finish out the day and earn a draw. So it's 1-0 England, and the final Test is in Johannesburg. A win or a draw by England means they win the series. Here's a recap of the final day. Only a short while after two big diamonds were discovered, there's now news of the world's largest ever star sapphire. It's darned impressive. And it's way too big to be on a necklace, so I'll be curious to see what museum gets it to show off. A couple of days I wrote about how Pitch Perfect co-stars Anna Camp and Skylar Astin were photographed while holidaying together in Hawaii. And I noted that this showbiz couple was still together. Well, as of now, they're more together, having had a ring ceremony, i.e., they got engaged to get married. Cool. I've been getting motivated to write more sonnets this year. So I got off to a quick start in January. which gratefulness and liquidness bestow. 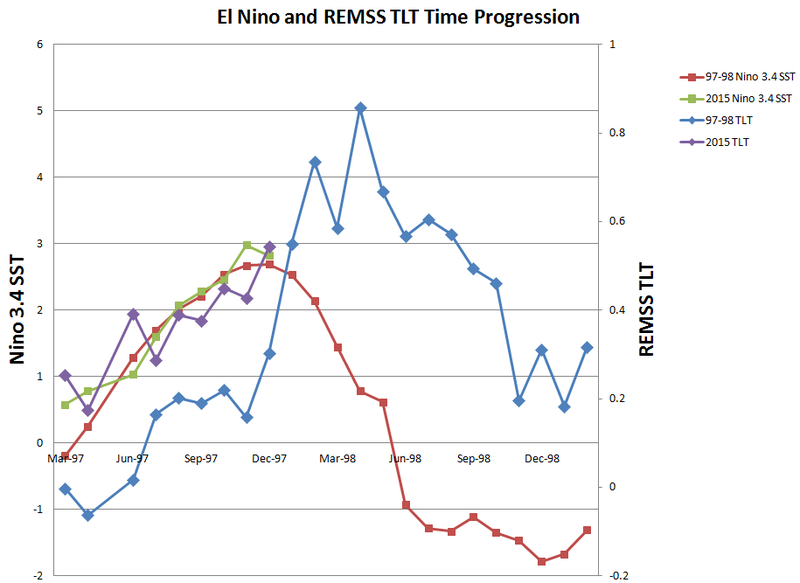 I've been waiting (along with a few other folks) for the Temperature of the Lower Troposphere (TLT) as calculated by Remote Sensing Systems (http://remss.com/) to start rising in response to the mega-El Niño that has taken over vast areas of the Pacific Ocean. It became very apparent, especially in the plot with the November data ("Holding Pattern") that the six-month lag time was pretty solid. At least that's how it looked. If it was solid, then December was crunch month. For everything to be working the way it was expected to, given the amount of time it took for the El Niño heat to mix into the atmosphere globally for the 1997-1998 event, then the rise would have to clearly appear in December. How much is it going to go up? No way to know. 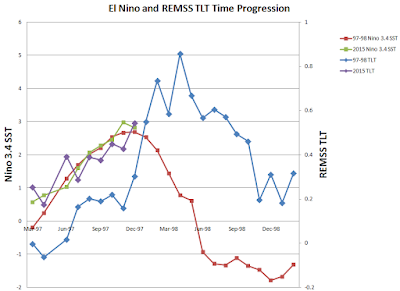 But looking at the progression of the 1997-1998 El Niño, the month following the clear start of the rise was a huge leap upwards. And given how the event seems to be affecting the atmosphere and the weather (California is sucking up the rain and loving the snow), I think it's reasonable to expect similar for January 2016. Here is the updated plot. Because of the overlap of the sea surface temperature line (green) and the TLT line (purple), I increased the size of the monthly symbols for TLT a bit, and decreased the size of the symbols for SST. Dang, I can't wait for the beginning of February. This is EXCITING. A nice video of Prince Albert and Princess Charlene of Monaco discussing their twins, while the twins do a great job of being adorable babies. At least for most of the length of the interview. Even though I've written several blog posts about her, I've never actually heard her speak before. Her voice is as lovely as she is. They seem to be having a good family life. I hope it continues just as nicely as it appears here. A few days ago I noted Katie Cassidy's fine appearance on the beach, mosttimes photographed bikini-clad. Well, more photogs have capture more photos, and it now appears that lovely Miss Cassidy's personal trainer is being more than just a traveling companion with the actress. This personal trainer gig appears to occasionally have great benefits - glamor model / actress / bikini superstar Kelly Brook got into a relationship with her personal trainer (lucky lucky lucky guy) and they're still together, and might even be engaged. The biggest romantic hookup from the Pitch Perfect movie (in real life) was Skylar Astin and Anna Camp. Even though Skylar's character is romantically intertwined with Anna Kendrick's character in both movies (the original and the sequel), Skylar found love off-camera with long blonde Anna, who played the leader of the Bellas (Aubrey) in Pitch Perfect. And as the Daily Mail reports, they're still having a good time being together -- this time in Hawaii.